Simplify your social life actions online with Membership Social Network Integration. It is solution that can rescue your lifetime and fans adherence just in several clicks. Post your minds in Membership Activity and at the same time share them via Facebook and Twitter accounts! 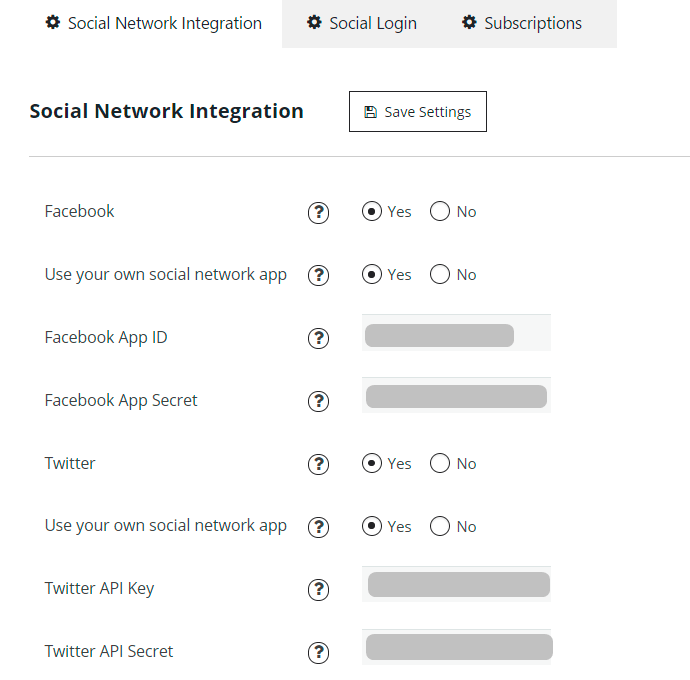 How do I get started with Social Network Integration addon? Light Social Network Integration procedure has a mass of advances. Post your minds in Membership Activity and at the same time share them via Facebook and Twitter accounts! Export and import Social Network data and use hashtags to do it. Managing is simplified to 2 buttons “Connect” and “Disconnect”. Read more about Social Network Integration Settings here. Why do I need a Social Network Integration addon? Loving Facebook and Twitter? Can’t live without Social networks? Have a lot of followers, who can’t live without your advices and everyday shine of new photos and posts? The question is already solved by Supsystic team for you. Install and activate Social Network Integration Addon to be always popular and independent from the social site your logged in. Just several clicks and everybody who connected to you will see your best choice of the product, the place you have attended or anything else to want to share with! How to install PRO addon of Membership plugin? Install and activate the latest Free version of Membership plugin. Download zip archive with PRO addon from your personal account on the supsystic.com - you will find a unique download link after purchase. Navigate to Plugins > Add New > Upload. When the installation has completed, click "Activate Plugin". After activation the PRO addon, you need to enter license key (you can find it in your personal account on our site). Go to the Membership plugin in Wordpress navigation menu. Click License tab on left navigation menu of plugin. Enter your email and license key. 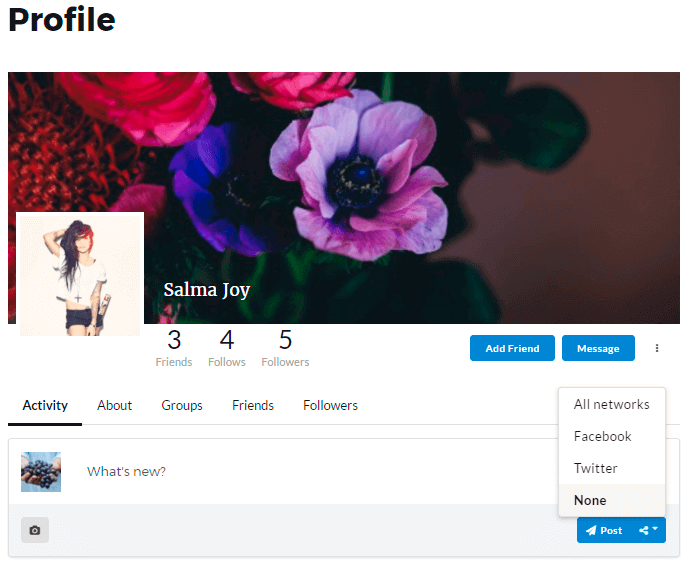 Import data from Social Networks to Membership Activity. 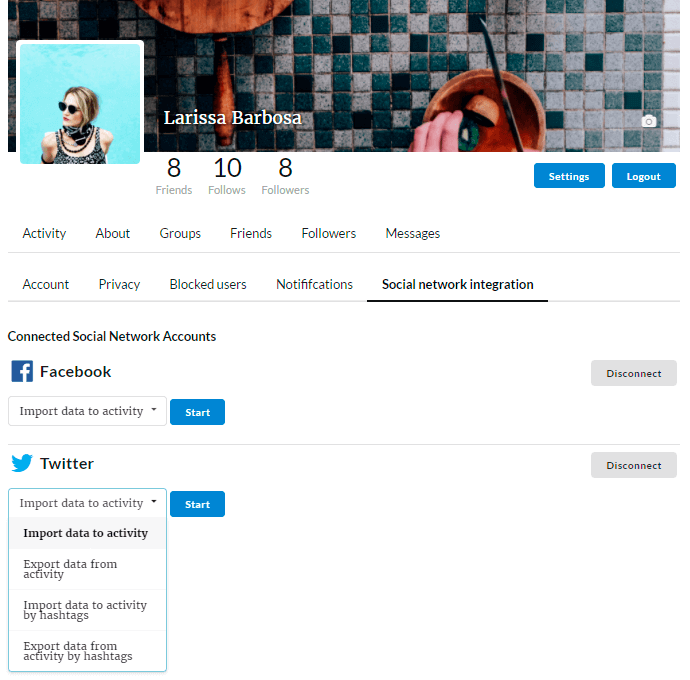 Export data from Activity to Social Networks. Let all of your social networks friends see what you think and do in the same time, without missing anybody and giving enough attention to every account and network! How to integrate Membership and Facebook App? To connect Membership plugin with Facebook you need to create your Facebook Application at first. In order to do that follow this short tutorial. How to integrate Membership and Twitter App? To connect Membership plugin with Twitter you need to create your Twitter Application at first. In order to do that follow the simple steps from this tutorial .